We take great pride in announcing the newest accolade for the Desert Rain. 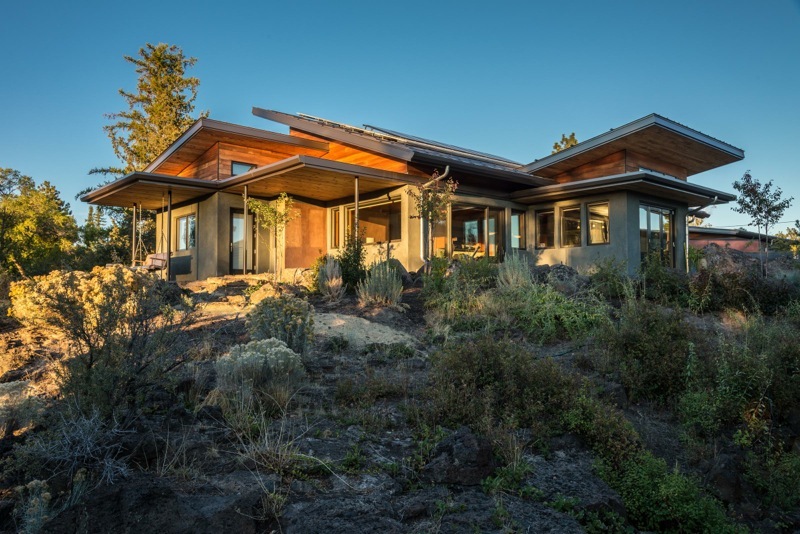 This profoundly green, custom home has just been certified LEED Platinum! LEED (Leadership in Energy & Environmental Design) is a green home certification system for homes that are designed and built to be energy- and resource-efficient and healthy for occupants. Platinum is the highest level awarded by the USGBC. As custom home builders, we take great pride in construction practices that meet one of the world’s most authoritative benchmarks for high-performance green buildings. The Desert Rain is a green complex that is the result of years of planning, hard work, and a dedicated team. Homeowners Tom and Barb set out to build a home, to share what they learned with the community, and to educate future homeowners, construction professionals, and municipalities. To borrow words from Rick Fedrizzi, CEO & founding chair, USGBC, “LEED-certified homes are transforming America’s neighborhoods.” Desert Rain certainly exemplifies this sentiment.